On July 4, 1845, Henry David Thoreau moved into the cabin he had built on the shore of Walden Pond. Now, on the 150th anniversary of that event, Houghton Mifflin is proud to publish an exceptional new edition of what is perhaps the most important book in our history as a publisher. 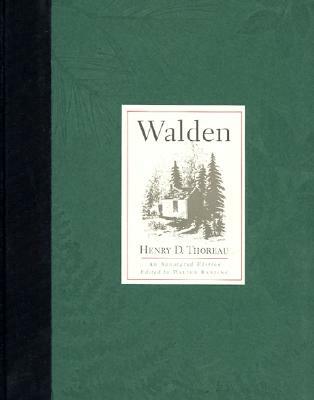 Walden: An Annotated Edition features the definitive text of the book with extensive notes on Thoreau's life and times by the distinguished biographer and critic Walter Harding. In the third chapter, Thoreau writes, "How many a man has dated a new era in his life from the reading of a book?" For many readers, Walden is that book. Written a century and a half ago, it grows more meaningful every day, and whether you are reading it for the first time or the hundredth, Walter Harding's insightful comments will open your eyes to the true depths of this masterpiece.